“Asaro”, as it is called in Yoruba, is a yam porridge. It is a very popular Nigerian mashed Yam and Tomato stew infused dish. Some people also like adding vegetables to it. 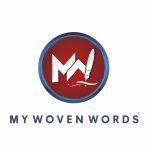 Today on My Woven Words! You will learn how to prepare a mouth-licking, palatable Nigerian recipe… You can and will prepare Asaro just by following simple steps. Asaro has a unique colour, feel and taste. Also known as Ebe (pronounced eh-beh) is a Nigerian dish native to the Yorubas. Not sure what exact region it originated from, but it’s a traditional Yoruba dish. It’s a one pot meal and doesn’t take too long to prepare. Let’s get started! Peel and cut the yam tuber into medium sizes. Wash the yam cubes and place in a sizeable pot. Wash and cut the onions into tiny pieces. Grind or blend the chilli pepper. Set these aside. If using dry fish, soak and pick the bones at this time. Pour enough water to cover the yam cubes and start cooking at medium to high heat. If you are using dry fish, add it now. When the yams have got a good boil, add the onions, ground crayfish, pepper, stock cubes, palm oil & the smoked fish. Cover the pot and continue cooking till the yam is done. Add salt to taste and stir very well. Cook at high heat for about 5 minutes. Add the green vegetable, stir and leave to stand for a few minutes then serve! Yam porridge is ready! Enjoy with meat, fried fish, plantain, or straight from the pot. Your opinion matter, please drop your comment below.